Founded in 2011, Actiknow provides Business Intelligence and Product Engineering services to clients worldwide. Our clients span from Fortune 50 companies to single people startups. We ensure that our team understands the client’s business and strives not just to meet the client requirements but also those undocumented expectations. Tableau, QlikView, Domo, Klipfolio, Power BI, Google Data Studio and Custom BI Platforms. Forecasting, Predictive Modelling, Promotion Response using SAS, R, MAHOUT. Web and Mobile Applications to enable Reporting and Data Collection on the go. MDM, ETL, Data Warehousing, Data Reconciliation, Data Cleaning. Process Automation, Excel, Access, VBA, PHP, .NET – Tool Development to automate office tasks. Custom developed and ownership of IPs to a few applications that are deployed on client specific instances. 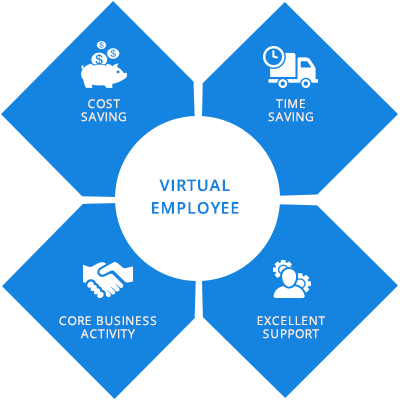 Actiknow helps companies hire a full time dedicated remote employee who works for them from one of our offices in India. Hiring an employee just got easy and quick. You get the option to pick and interview from our pool of top rated consultants for 1/3rd the cost of hiring locally, for as short as 2 months. Right at the beginning our team ensure all relevant stakeholders understand project requirements clearly and the importance of having unambiguous project scope. It is crucial for effective project management to be able to have complete and clear project requirement, right at the beginning and avoid project scope creep during project execution. We at Actiknow use right project management tools to draft, articulate project requirements, review and seek approvals, so that transparency and accountability for project requirement is ensured. Once a project charter and project scope is defined and articulated, we identify project manager and project planners. Having project manager, project planner and team members who are subject matter expert for a project in consideration wins half-battle. As project manager & project planners define work-breakdown-structure and identify high level deliverable, identifying right skill set to work on those deliverable is equally important. Great Academic Background: All our engineers have excellent academic credentials, and from leading colleges in India including the prestigious IITs. Mathematical ability is ranked high in order to be a part of our team. Domain Expertise: We understand your needs and domain. We can get this done right without you having to break your head against the wall explaining the business domains and going through multiple iterations to get it “right”. Best Rates: We provide best in class solution in cost efficient rates. The quality, efficiency, skill set and the expertise we deliver under our given rates are more competitive with other top service providers. Flexibility: Based on client’s requirement we scale up/down our team. Also, during the course of project if there is any change in the scope, we are open to iterate the estimate and incorporate those changes accordingly. Actiknow’s team is very professional, with great communication. He always went above and beyond the task, always working hard to stick to deadlines. Actiknow were a pleasure to work with, subject expertise was excellent and communications were regular and responsive. A good understanding of project and they also assisted in the production of a sophisticated product. I was very satisfied with the work product and the ability to create a custom solution for my individual needs. I had a wonderful experience working with Actiknow. They are very capable. Throughout the project, they were clear and proactive in their communication.Well done team! Stay on top of the latest category updates and supply market insights with Actiknow. Which BI tool is best for your business: Tableau/ Klipfolio/Power Bi/Data Studio? Why Mobile Apps are the Future of Primary Data Collection? 2019 © Actiknow Consulting Pvt. Ltd - Copyright All Rights Reserved.